The best things in life are free, Now that you can make Pasties with me!!! New time of year for E-Friends Pasty Making 2019. 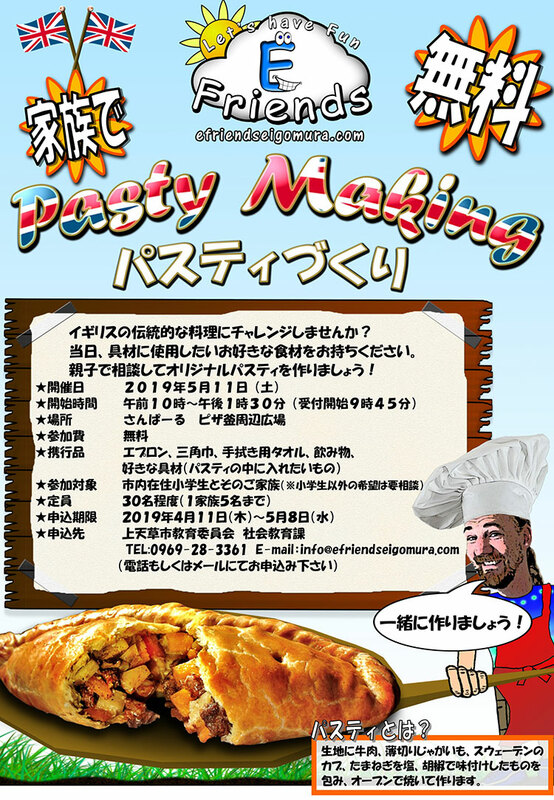 Come and join us to make some delicious pasties, under the amakusa sunshine. reserve your place quick to avoid disappointment.